Ocular surface squamous neoplasia (OSSN) is a rare ocular surface pathology, seen often as growth in the interpalpebral area adjacent to the corneoscleral limbus. Increased risk of OSSN has been reported to be associated with exposure to sunlight, HIV human papillomavirus, and immunosuppression following organ transplantation.,, The known dermatological problem which is reported to predispose to OSSN has been the xeroderma pigmentosa. It is reported in 10% cases of xeroderma pigmentosa. Increased frequency of early onset of OSSN in patients with xeroderma pigmentosa necessitating lifelong care has been emphasized. OSSN may coexist with pterygium, and sometimes both may be related as they share ultraviolet (UV) exposure as a risk factor., Unexpectedly, high incidence of OSSN in pterygium in a place with low UV exposure has been reported suggesting the need for histopathological examination of the specimen after every pterygium excision. Association of OSSN in patients with generalized ichthyosis has not been reported in the literature so far. We here in report, a case of OSSN in a 44-year-old patient with congenital ichthyosis. A 44-year-old male patient presented with progressive loss of vision in the right eye (RE) for 1 year, which was preceded by a growing mass in the RE, since 4 years. He noticed a small whitish nodule adjacent to the side of the RE cornea 4 years back, which was slow growing with foreign body sensation. There was no pain or discharge. He revealed the presence of dry, scaly skin all over the body since birth not associated with itching or pain or any discharge from skin lesions for which he did not take any treatment as they are asymptomatic. He is a farmer by occupation. Takes mixed diet, not an alcoholic or smoker. On general examination, erythematous skin with thin white scaly lesions was seen all over the body with alopecia and madrosis, suggestive of congenital ichthyosiform erythroderma [Figure 1] and confirmed by dermatologist consultation. On ocular examination, OD has a perception of light positive and projection of rays accurate in all quadrants. It had ectropion with cicatrization of upper palpebral conjunctiva, keratinization of bulbar conjunctiva, and symblepharon superotemporally. Pink whitish mass with patchy brown pigmentation with irregular lobulated surface encroaching the corneal surface measuring about 10 mm × 5 mm [Figure 2] was seen in OD. A dilated tortuous feeder vessel from the conjunctival side was present. Anterior chamber details, pupil, lens, and fundus details were obscured. On palpation, under topical anesthesia the mass was soft in consistency, freely movable on the conjunctival side of the lesion and firmly attached to underlying structure on the corneal side. OS showed symblepharon on lateral side of lower lid, lower punctal aplasia, pseudopterygium on temporal side, rest of the anterior segment was normal and dilated fundus examination was normal. In OS, the uncorrected distance visual acuity was 20/20, with near visual acuity of N10. Clinical examination led to the provisional diagnosis of OSSN in OD. Ultrasound biomicroscopy of RE showed no invasion into the anterior chamber. MRI of the orbit showed irregular lobulated lesion on RE anterior ocular surface with no extension into the orbit or surrounding soft tissue. Symblepharon release, excision biopsy of the mass lesion, double freeze-thaw cryotherapy of the conjunctiva, with reconstruction of the ocular surface with amniotic membrane transplantation in OD was planned. After obtaining written informed consent, under strict aseptic conditions, under peribulbar anesthesia the mass was excised with margins including 3 mm clear area surrounding the mass. After confirmation from histopathological report that margins are free of tumor cells, denovo excised margins of the conjunctiva were thawed with double freeze-thaw technique with cryoprobe. Corneal side lesion was managed with partial keratectomy. Conjunctival defect and the corneal surface were covered with amniotic membrane graft and secured with 6–0 vicryl sutures. Histopathology of the main mass confirmed as an invasive well-differentiated squamous neoplasia with keratin pearls and pigment-laden macrophages [Figure 3]. Postoperatively, in OD topical moxifloxacin 0.5% eye drops q. i. d and topical predacetate 1% eye drops q. i. d for 4 weeks and topical Mitomycin-C 0.04% eye drops with 1 week on and 1 week off for 3 cycles were prescribed. Topical tear substitute eye drops every 2 hourly in both eyes were prescribed. The patient was followed up from day 1 to 7, weekly for 1 month and monthly for 6 months. The necessity for lifelong follow-up was explained to the patient. Impression cytology of the pterygium in the other eye was carried out to rule out any subclinical OSSN. No recurrence was noted in 6 months duration; however, thinning of corneal stroma [Figure 4] was noted for which tissue glue was applied and advised for localized patch graft. Visual acuity was counting fingers one meter at 1-month follow-up and remained so due to dense corneal scar. There were persistent scar and no recurrences at 3 months' follow-up. This is the initial report of invasive SCC of the ocular surface to be reported in a patient with ichthyosis. Depending on the features such as scarring alopecia, ectropion, punctal aplasia, keratinization of conjunctiva and with generalized red skin with thin white scales all over the body, the congenital ichthyosiform erythroderma confirmed by the dermatologist. Ectropion causing exposure keratopathy, severe limbal stem cell deficiency could be the cause of the symblepharon. The patient being a farmer might have had been exposed to UV light in the open fields for many years. Other risk factors like UV light exposure for SCC cannot be rule out in this case. As the left eye presently has pterygium, the lesion in RE also might have started as pterygium initially, and OSSN might have developed from preexisting pterygium later transforming into invasive SCC. Since the patient was treated in the late stage of the disease, even though the surgical excision was successful; the visual prognosis has been poor due to the dense central scar. Although only one case is reported and further studies are required to give an association between ichthyosis and OSSN. Nevertheless, we can conclude that this case report helps to prompt physicians, dermatologists, and ophthalmologists to advise screening and regular lifetime follow-up for early detection and treatment of OSSN to prevent subsequent SCC in a patient with ichthyosis. This can aid eventually preventing the visual disability and permanent sequelae. Lee GA, Hirst LW. Ocular surface squamous neoplasia. Surv Ophthalmol 1995;39:429-50. McKelvie PA, Daniell M, McNab A, Loughnan M, Santamaria JD. Squamous cell carcinoma of the conjunctiva: A series of 26 cases. Br J Ophthalmol 2002;86:168-73. Macarez R, Bossis S, Robinet A, Le Callonnec A, Charlin JF, Colin J, et al. Conjunctival epithelial neoplasias in organ transplant patients receiving cyclosporine therapy. Cornea 1999;18:495-7. Brooks BP, Thompson AH, Bishop RJ, Clayton JA, Chan CC, Tsilou ET, et al. Ocular manifestations of xeroderma pigmentosum: Long-term follow-up highlights the role of DNA repair in protection from sun damage. Ophthalmology 2013;120:1324-36. Suarez MJ, Rivera-Michlig R, Dubovy S, Rodriguez FJ. Clinicopathological features of ophthalmic neoplasms arising in the setting of xeroderma pigmentosum. Ocul Oncol Pathol 2015;2:112-21. Chui J, Coroneo MT, Tat LT, Crouch R, Wakefield D, Di Girolamo N, et al. Ophthalmic pterygium: A stem cell disorder with premalignant features. Am J Pathol 2011;178:817-27. Hirst LW, Axelsen RA, Schwab I. Pterygium and associated ocular surface squamous neoplasia. Arch Ophthalmol 2009;127:31-2. Zoroquiain P, Jabbour S, Aldrees S, Villa N, Bravo-Filho V, Dietrich H, et al. High frequency of squamous intraepithelial neoplasia in pterygium related to low ultraviolet light exposure. Saudi J Ophthalmol 2016;30:113-6. Al-Amry MA. Ocular manifestation of ichthyosis. Saudi J Ophthalmol 2016;30:39-43. 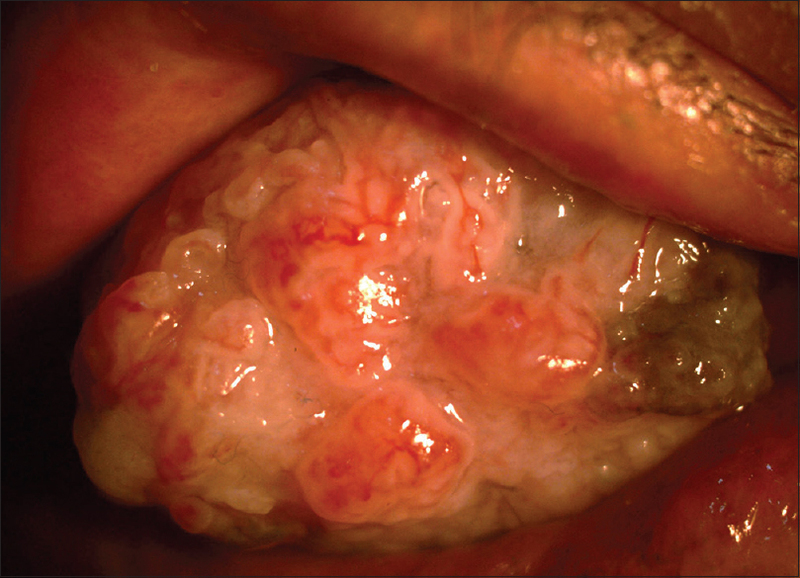 Schiraldi FG, Helfand EA, Tirone M. Ichthyosis associated with squamous cell carcinoma of the larynx. J Am Podiatr Med Assoc 1987;77:607-10. Wirsching KE, Heinlin J, Gassner HG. Netherton syndrome – Why ENT surgeons should be aware of this rare disease – Report of a case. BMC Ear Nose Throat Disord 2013;13:7. Kübler HC, Kühn W, Rummel HH, Kaufmann I, Kaufmann M. Development of cancer (vulvar cancer) in the Netherton syndrome (ichthyosis, hair anomalies, atopic diathesis). Geburtshilfe Frauenheilkd 1987;47:742-4. 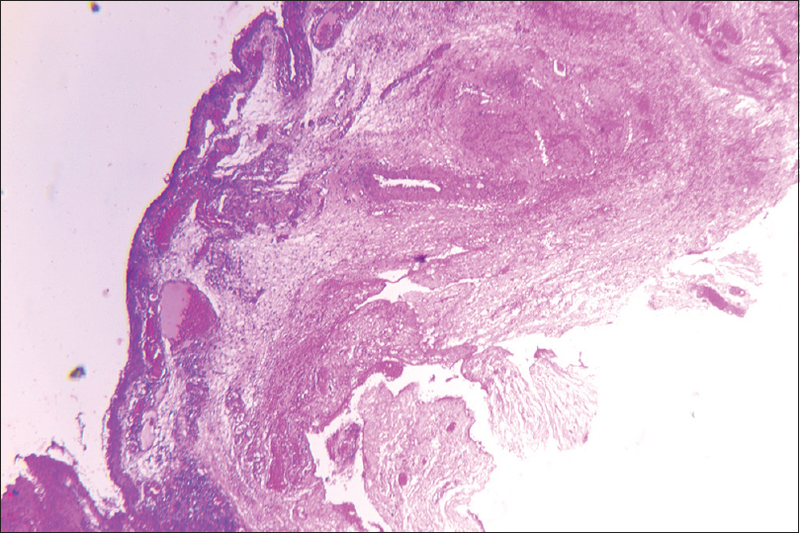 Isharwal S, Manivel JC, Konety B. Penile cancer in a man with netherton syndrome. Urology 2015;85:e21-2. Brown VL, Farrant PB, Turner RJ, Price ML, Burge SM. Multiple aggressive squamous skin cancers in association with nonbullous congenital ichthyosiform erythroderma. Br J Dermatol 2008;158:1125-8. Fadare O. Dysplastic ichthyosis uteri-like changes of the entire endometrium associated with a squamous cell carcinoma of the uterine cervix. Diagn Pathol 2006;1:8.